Alyce has invited me to join in on the Kate Spain blog hop. Kate Spain is not only one of the nicest people in the world but is bursting with creativity and imagination, notably reflected in her beautiful designs. 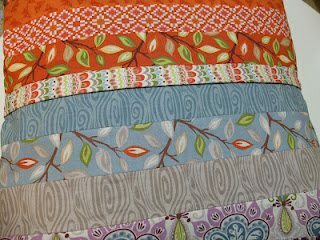 I have bought everyone of Kate’s collections and over the years have made and gave away many quilts using these fabrics. I still have a stash of pre-cuts of my favourites, like Central Park, that I cannot seem to part with. This is my Snowflake quilt from the book Sweet Celebrations. I love the fresh blue Kate used with her Christmas collection – Flurry – as well as the crisp spring greens and vibrant reds. One of my first Moda Bake Shop recipes was the Fandango Clams quilt. Fandango had an almost seaside feel with it’s crisp turquoise, and warm yellow, oranges and a splash of purple. String quilt made with Bella solids and Good Fortune. A present for the teacher in 2011. The gorgeous cushion below was made by Danielle with a Jelly Roll of Serenade I sent to her. The colours are reminiscent of Autumn with their greys, dusky blues, oranges and warm browns and a drop of purple. To celebrate ‘All things Kate’, I am giving one lucky blogger the chance to win a Serenade Layer Cake. Good luck and the winner will be drawn 30th June 2013. I had the Joy of celebrating the 12 Days of Christmas outside in a Flurry with my Honey Honey. I can't wait to dance with Joy on the mountains of Cuzco! This is fun! I have decided to look at the Sunnyside of things today and I have my fingers crossed to make sure I have the Good Fortune of winning this giveaway which will make my heart jump with Joy!. Thanks for the super chance! I came in from the cold after a bracing walk in Central Park and wished I was in Cuzco. Oh, what joy it was to serenade Verna in Central Park singing the 12 Days of Christmas, and we had the good fortune to come in from the cold just as it was starting to flurry! Oh Honey honey. I want to go to Cuzco and dance the Fandango. We met while caroling in Central Park. A serenade of 12 Days of Christmas brings joy to the holiday, but meeting him sent a flurry of excitement through my heart. We walked through the snowy terrain of the park and chatted about his recent trip to Cuzco where he learned the Fandango. He wants to teach me! We then had the good fortune to find the Sunnyside Restaurant open at such an hour. It is owned by a delightful woman, named Verna. We came in from the cold, and enjoyed some of her best treats, filled with plenty of honey, honey! and a hot cup of coffee. I can't wait until I see him again. I had the good Fortune to celebrate the verna-l equinox by dancing the Fandango in Central Park. VERNA awoke with a SERENADE of HONEY HONEY by Abba then realized – only 12DAYS OF CHRISTMAS shopping left. In a FLURRY she took a shortcut thru CENTRAL PARK to her travel agent to buy tickets to CUZCO for her family. What JOY to come IN FROM THE COLD and found to her GOOD FORTUNE a 2 for 1 sale – she now awaits to relax SUNNYSIDE with her family for New Years! On each of the 12 Days of Christmas, I felt the Joy of coming In From the Cold after having the Good Fortune to dance the Fandango with my Honey Honey in a Flurry of snow in Central Park Terrain while being Serendaded by a gentleman whose mother's name was Verna from the Sunnyside of Cuzco. I Serenade you, "What a Joy to be In From the Cold"
During the "12 days of Christmas", when the snow was beginning to "Flurry", I called my dog "Verna" "In from the Cold" and snuggling with her by the fire, sang her a "Serenade" of "Honey, Honey"
In the 12 Days of Christmas parade at Central Park, Verna and her Honey Honey did the Fandango dance which brought everyone much Joy, but it was their Good Fortune to get In From The Cold and dream of going to the Sunnyside Terrain of Cuzco! Ha Ha! Hope no English teachers are appalled by that total Run-on sentence! I absolutely love everything Kate Spain, she is one of my favs so of course I would love to win this! But I don't see any other comments yet, so does that mean I'm the first one to comment? I hope not, because the first one to comment never wins! I had the Joy and Good Fortune of spending the 12 Days of Christmas with my Honey Honey Staying in From the Cold after doing the Fandango over the Terrain in Central Park as I listened to the Serenade by Verna Sunnyside. What a Flurry of activity! For the "12 days of Christmas" my "honey Honey" and I decided to walk through "Central Park", we had the "Good Fortune" to narrowly escape the oncoming "Flurry" just in time to get "In from the cold". On one of the 12 days of Christmas, I was caught in a Flurry in the middle of Central Park. Whilst traipsing through the Terrain I saw the Fandango flamingo Serenade Cafe. I stumbled In From The Cold and had the Good Fortune and Joy to meet my Honey Honey who asked me to walk her to the Sunnyside of the street. Signed Verna Cuzco. While in Central Park, my Honey, Honey and I had the Good Fortune to see Verna and listen to a Serenade of The Twelve Days of Christmas. We escaped the Flurry of snow and Came in from the Cold to the Joy of seeing a Fandango being performed by famed dancer, Cuzco. We had breakfast of Sunnyside up eggs before exploring the nearby Terrain. To celebrate the 12 DAYS OF CHRISTMAS, VERNA and I came IN FROM THE COLD in a FLURRY from the TERRAIN of CENTRAL PARK and had the GOOD FORTUNE to be greeted with a SERENADE by JOY singing HONEY HONEY and SUNNY SIDE of the Street whilst we danced a FANDANGO. VERNA and JOY spent the 12 DAYS OF CHRISTMAS in CENTRAL PARK – they had the GOOD FORTUNE to be SERENADEd by a man who came IN FROM THE COLD amid a FLURRY of snow. Although the TERRAIN was rough they watched a couple dance the FANDANGO and they ate lots of HONEY,HONEY and eggs cooked SUNNYSIDE up! My hubby and I do the fandango whenever we can. And when he's in the mood, he serenades me. Thank you for the chance to win a serenade layer cake. In a Flurry of Good Fortune my Honey Honey Came in From the Cold right before The 12 Days of Christmas. What Joy it would be to walk in Cental Park during a snow Flurry, it would be my Good Fortune to have my Honey Honey join me. I'm looking at the Sunnyside of life while doing the Fandango and listening to my Honey Honey Serenade our Good Fortune and Joy in anticipation of spending time in Cuzco! During the Twelve Days of Christmas, my Honey Honey and Me had the good Fortune of meeting in Central Park with Verna for a cup of Joy. I feel like I've been through some rocky Terrain lately. I'd really like to see the Sunnyside. Oh… A Serenade layer cake might help bring me some Joy! My Honey Honey and I just got married in a Flurry of Good Fortune! "Honey, Honey, Come in from the Cold" said Verna,we have the Good Fortune to have the Fandango choir here to sing 12 Days of Christmas, after that Serenade, we'll hop in the all Terrain vehicle and go over to Central Park to take Cuzco for a walk, then we'll meet with Joy and have breakfast over at Sunnyside, maybe even pick up a Mc Flurry on the way. My good friend Verna and I are in a Flurry of packing. We have the Good Fortune of going to hike the wild Terrain of Alaska! What Joy! Only thing is, Verna's Honey Honey, who lives close to Central Park just called, he wants to Serenade her over the 12 Days of Christmas in Cuzco. Hmm, where does that leave me? Doing the Fandango on my own. Oh well, the Sunnyside is I can always come In From the Cold. Thank you for a super fun giveaway and a chance to win. My honey honey took me to central park to do the fadango and cuzco while I danced in flurry with the 12 days of christmas to some good fortune! Honey, honey and I tread the Central Park Terrain feeling Joy and Food Fortune. Thanks. I had the Joy and Good Fortune of a Serenade in Central Park! I am so looking forward to Dec. 13th! I will be filled with 'joy' as we celebrate our first '12 days of Christmas' with our new grand baby! I had the Good Fortune to be watching Emperor's New Groove with my boys and saw the emperor Cuzco listening to a Serenade from his servants about how wonderful he was. Honey, Honey come In From the Cold because its your Good Fortune that I will Serenade you with the 12 Days of Christmas as our daughters Joy, Cuzco, and Verna in a Flurry of movement dance the Fandango over a Terrain map of the Sunnyside of Central Park. I too love Kate Spain. As a new quilter I am so drawn to her collections. My Honey Honey and I had the Good Fortune of celebrating the 12 Days of Christmas in Central Park. After a Flurry we came In From the Cold and enjoyed a Serenade by Verna and Fandango, her dog. Soon we will take Joy in new Terrain by visiting Sunnyside and Cuzco. Thanks for the chance to win! Can't wait for Sunnyside. On the 12th day of Xmas while walking in Central Park, I had the Good Fortune to come in from the cold and have some tea with Honey Honey in it. To my great Joy I was also given some sunnyside up eggs and toast to go with the tea. A good Fortune for me to come across the deserted terrain and found this giveaway chance! Verna and her Honey Honey, a Fandango dancing sailor from Cuzco were caught in a Flurry while strolling in Central Park. They danced their way out of the Terrain and came In From The Cold to celebrate the 12 Days of Christmas with a Serenade of Joy. What a fun giveaway idea! Thanks! The Terrain was rugged and the snow was all a Flurry but once we were In From The Cold there was Joy to be had beside the fire. I had the Good Fortune to come in from the cold and escape the flurries. I will be experiencing the Joy of Central Park where I hope to be Serenaded by my Honey,Honey!! I was a Flurry of a Joy-ful Serenade as I Fandango-ed across the Terrain in the Sunnyside from Central Park to Cuzco with my Honey Honey. What Good Fortune I had to meet Verna and bring her In From the Cold on these 12 Days of Christmas! Verna, Joy & I decided to visit Central Park. We had the Good Fortune to be there when a concert was on – the band played a variety of tunes including Fandango, Honey Honey, 12 days of Christmas and finished with a lovely Serenade. We then went further into the park, over some rough Terrain to the ice-cream shop ”In from the Cold” where we enjoyed a new flavoured ice-cream – Cuzco. But it was too cold – so in a Flurry we went over to the Sunnyside of the park. Even though there is such a lot of Terrain between us, I still like living on the Sunnyside. I have been celebrating my Good Fortune by dancing the Fandango to a Serenade by Verna with my Honey, Honey in Central Park on the Sunnyside of the street even though the Terrain is rough. There was a Flurry of activity since it was during the Twelve Days of Christmas. I've actually been hoarding my collection of Good Fortune waiting for the perfect project to come along. It's my favorite so I'm afraid to cut into it. Honey, Honey, I had a good close look at the Cuzco Terrain (my favourite collection) to make sure there was nothing to trip on when we do the Fandago. Oh Joy, we are having a Flurry of Good Fortune. The Terrain is clear. What a great idea Jane! Winter has finally arrived in Perth, so it was a joy to come in from the cold (I have sooooo much washing to hang out!) and read your blog post. Must go – my little one is trying to serenade me with his 'honey, honey' song (I think he wants a sandwich!). Being caught outside in a sudden Flurry, Verna and I stepped inside the convenience store to get In From The cold and while there purchased a lottery ticket. We jumped for Joy and did a little Fandango dance when I had the Good Fortune to win! Even though I am in from THE COLD .my HONEY HONEY decided not to worry about the Flurry and its effect on the Terrain but made the most of his Good Fortune and had the Joy of playing with his grandies. I wanted to eat something in a flurry so I made myself a honey honey sandwich. My honey honey sang a little serenade along the terrain of central park! I hope to have good fortune ! It was the first of the 12 Days of Christmas. As Verna and I looked out the window we saw a Flurry of snow drift over the Terrain of Central Park. Abba was playing on the radio and we rose from our seats and danced the Fandango with Joy as the first notes of Honey, Honey began to Serenade us. Our sewing lay forgotten, bundles of Cuzco and Good Fortune waiting by our machines for us to return. Joy was serenaded in Cuzco during a flurry of snow! Hope I have the Good Fortune to win this prize ! I went for a walk with my daughter and we had the good fortune to see a bee making honey. Honey, the wind is cold and the terrain is muddy, won't you wear a coat next time? During the 12 Days of Christmas we had a Flurry or two of snow but we had the Good Fortune not to be totally snowed in for the holidays. I danced with Joy when I won the 12 Days of Christmas, what Good Fortune for me. While celebrating the 12 days of Christmas in Central Park there came of Flurry of snow! I had the good fortune to be invited to come In From The Cold. I was singing with Joy while watching the Terrain being covered with snow! I want to live my life In From The Cold and filled with Joy by focusing on the Sunnyside of things. I had the great Joy and Good Fortune of dancing the Fandango during a snow Flurry. Not playing along, just stopping by to say how fabulous your sewing looks. "Honey! Honey! Come in from the cold…and park the all Terrain vehicle on the Sunnyside of the barn!" "Verna and her Honey, Honey celebrated the 12 Days of Christmas by dancing the Fandango in Central Park. To their Good Fortune, the organ grinder, Cuzco, and his monkey sang a Serenade to them during a Flurry of white that made the city Terrain look like a winter wonderland. Filled with Joy, they danced their way In from the Cold to live happily ever after on the Sunnyside of life." When I woke up this morning I remembered dreaming about being in Caledonia with Kate Spain. We were both there to find Joy, to come In From The Cold and avoid a potential Flurry! We discussed the Terrain while waiting for breakfast of eggs Sunny Side and toast with Honey Honey. We were delighted with a Serenade while strolling through a park that was much like Central Park and saw a flash mob doing the Fandango. Thanks for a wonderful day Kate, I know we shall meet again soon. Honey, Honey, I need you to serenade me to sleep tonight! I had the Good Fortune to take my Honey Honey, In from the Cold Flurry of Central Park on a 12 Days Of Christmas holiday to the Sunnyside of Cuzco, we walked the Terrain and did the Fandango while a peruvian man sang us a Serenade. when what to our Good Fortune do we run into but Cuzco doing the Fandango with Joy! What Joy it would bring me if I had the Good Fortune to win Serenade. Love your pretty quilts. Thanks for the chance to win. Have you tried the latest excercise/dance craze? It's Cuzco, and it's fabulous! It was my Good Fortune that there was a snow Flurry during my visit to Central Park. I had the Good Fortune to stroll the Terrain in Cuzco. The only thing that would have brought me more Joy would have been to have my Honey Honey there to Serenade me. VERNA, had the GOOD FORTUNE to come IN FROM THE COLD after a FLURRY of snow started in CENTRAL PARK just before the TWELVE DAYS OF CHRISTMAS. The SUNNYSIDE of the TERRAIN was the SERENADE of HONEY HONEY with FANDANGO and JOY! It was close to the 12 DAYS OF CHRISTMAS when I came IN FROM THE COLD. It had started to FLURRY. "Oh JOY", I said, sarcastically. I said to my HONEY, "HONEY, we need to find the SUNNYSIDE of some warm beach in the tropics! Perhaps our GOOD FORTUNE will take us to CUZCO, Peru!" I hear the TERRAIN is lovely. I hope when I come In From the Cold that I will have the good Fortune to win then I will jump for Joy and Serenade about it. We had the Good Fortune to purchase a snowblower recently. My hubby hopes it will allow him to Come In From The Cold before the snow Flurry arrives that is forecast for The Twelve Days of Christmas. I love Kate's fabrics…thanks for the chance! As I sat eating my Sunnyside up eggs my hubby came In From the Cold. Honey, Honey, had the Good Fortune to meet Verna at Central Park when the Terrain became icy with a Flurry of snow and winds. She gave him a ride home before the 12 Days of Christmas and brought Joy to my heart. As we all drank Cuzco we danced the the Fandango then listened to a Serenade celebrating his arrival home again! Joy and I had the good fortune to be able to study the terrain of central park. We were listening to a serenade with the chorus line Kiss me Honey Honey Kiss me when we were caught in a snow Flurry. Verna, who lives at Sunnyside was demonstrating the fandango and invited us in from the cold and over tea extended the invitation to cover the 12 days of Christmas. I was my Good Fortune to be able to stroll along the Terrain of Central Park and Serenade my Honey Honey 🙂 Thanks for the chance to win! The Flurry of snow did not stop the Serenade my Honey, Honey husband sang to me in Central Park. I love to hike the Terrain while my Honey Honey Serenades me on the 12 Days of Christmas! I do hope I will have the Good Fortune to win! We rushed across the snowy Terrain of Central Park to get out of the Flurry! When the door to the "12 Days Of Christmas" party opened we jumped for Joy at our Good Fortune to get In From The Cold and plan our trip to the Sunnyside of Cuzco with our lovely host Verna. We had a flurry of snowfalls during the 12 days of Christmas. The entire terrain was covered with sparkling white. And, Oh how my little honey buns were filled with great joy for the good fortune to play & tumble outside. I had to call for them several times to come in from the cold. I was a bit concerned for them. They have been outside all day! 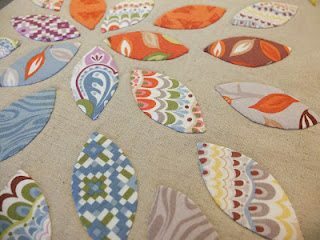 Loved seeing your different projects Jane – they are just all beautiful! Carolers were singing "Joy" to the World to help celebrat the "12 days of Christmas" in "Central Park" Then a Snow "Flury" got to be too much so we had to come "In from the cold". Oh, Honey Honey, what Joy I would have at the Good Fortune to win some Central Park or Terrain – It would be like the 12 Days of Christmas, and I would Serenade you all! Verna and I did the Fandango in Central Park, while the snow came down in a Flurry, on every one of the 12 Days of Christmas! How I love to Fandango along the Terrain of Central Park in the Summertime! Never mind the Joy and Good Fortune people think about in the Winter when a snow flurry comes around their honey honey's and they get to snuggle with more Joy than ever – Cuzco baby, summertime that's where I'm at! Verna and Joy called out to Cuczo, Honey Honey, come in from the cold and order those 12 Days of Christmas tickets on Fandango. You can serenade us later in Central Park and we'll toast to your good fortune as we stroll the garden terrain. We will pretend we are enjoying the park during the sunnyside of the year instead of in a snow flurry. I have had the Good Fortune and Joy of marrying my Honey Honey, who's birthday is after the 12 Days of Christmas. Sadly, he does not dance, so no Fandango for me. We would love to visit Central Park, perhaps in the spring, although i hear it is lovely covered in fresh snow from a Flurry. Oh the Joy and Good Fortune of having the opportunity to learn to dance a Fandango in Adelaide! When in Cuzco, I love to put Honey, Honey on my couscous. I have the Good Fortune of having two desert rolls of Honey Honey that I am about to cut into. My tale isn't long but it brings me lots of Joy! Joy with her Good Fortune came In from the Cold to spend 12 Days of Christmas in Cuzco. My Honey Honey and I were doing the Fandango on the sunnyside of Central Park when we were suddenly ran into rough terrain and a flurry of two. Luckily we had the Good Fortune to come In From The Cold. Verna? I'm in a flurry, I can't wait for the 12 days of christmas! I always loved singing 12 Days of Christmas because it brings me great Joy. After walking over the rough terrain in central park we came in from the cold and flurry night and my honey honey and I ate some sunnyside up eggs, which have always brought us good fortune and joy!! The terrain in Cuzco was so rough but with joy and verna we came in from the cold to hear honey honey playing on the radio during the twelve days of Christmas. Wasn't that our good fortune. I had the Good Fortune to take my dog Honey, Honey to Central Park. We enjoyed the Terrain which was lush and fragrant. We also met a lady from Cuzco with her dog, Joy, who invited us to celebrate the 12 Days of Christmas in December. I know that we will all enjoy a Serenade together. The peacocks serenade my Honey Honey and I as we climb the terrain of Cuzco. The breathtaking views make me want to dance the Fandango. I had the Good Forune to walk the Terrain in Central Park. During the 12 Days of Christmas, I had the Good Fortune of hearing Verna Serenade her sister, Joy, with a medley of Christmas carols. I danced a Fandango of Joy in Central Park with my Honey, Honey! Honey, honey, come in from the cold and serenade me. Then we can do the fandango! What a Joy it was to have the Good Fortune to come In From the Cold. I drunk a tea with HONEY HONEY and when I opened the Good Fortune envelope, I read that during the 12 Days of Christmas I will dance a Fandango with Verna in Cuzco to be Serenade and the Joy of our little Flurry . I will serenade you as we walk in central park. It's a joy to come in from the cold and my good forune to fandango with you honey honey. The all Terrain vehicle that Verna and I had the Good Fortune to test drive was a Joy! It would be my GOOD FORTUNE to win this drawing! With a FLURRY of JOY I'd yell, "HONEY, HONEY, I won!" and do the FANDANGO all the way to my SUNNYSIDE sewing spot which faces CENTRAL PARK! It would be me such Joy to be able to visit New York and take a walk on the Sunnyside of Central Park with my Honey Honey. Perhaps he would even Serenade me without causing too much of a Flurry. Honey, Honey…let's celebrate the Sunnyside of life! This is a fictional account of an imaginary event that happened one day somewhere to someone, or maybe it did not happen at all. 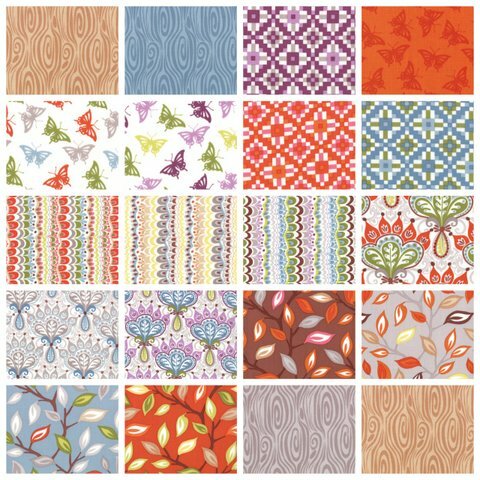 Regardless, I have printed all 28 pages of the quilt pattern In from the Cold and want to win the fabric so I can make this awesome quilt. One day Verna and Joy were walking with me in Central Park. It was our Good Fortune to receive a Serenade, an invitation to walk on the Sunnyside of the street, and to come in from the Cold and snow Flurry to celebrate the 12 Days of Christmas open house at the coffee shop. To our surprise, our mutual friend Honey Honey had arranged for Kate Spain to appear at that coffee shop. So, there we were all snug and cozy listening to Kate Spain regale us with the stories behind her collections of Fandango, Terrain, and Cuzco. Kate Spain is such a fantastic designer and teller of stories. Thanks Kate! I came In From the Cold to enjoy some time with my Honey Honey by my Sunnyside window, and there he sang me a sweet Seranade! Thanks for the awesome giveaway and the pictures of the gorgeous, inspiring quilts on your blog. I love your work! My friend Verna and I went for a walk in Central Park and had the Good Fortune to see a Flurry of activity near the lake, where a man from Cuzco created a lot of Joy with his Serenade of The Twelve Days of Christmas, after which we decided to come In From The Cold and enjoy some hot cocoa. During the 12 Days of Christmas, we took a walk through Central Park, until we saw a Flurry…then we felt Joy and Good Fortune to arrive home and come In From the Cold. You bring me so much joy when I come in from the cold! My friend, Verna and I along with my little dog, Honey Honey, had the Good Fortune to win a vacation during the 12 Days of Christmas celebration. If I had the Good Fortune to win some'a this Honey Honey, I'd jump for Joy! Jane and Kate always liked to meet for breakfast in a little cafe beside the canal in Cuzco, Peru. Jane always selected honey, honey with her mashka whilst Kate preferred eggs, sunnyside up. After breakfast they would walk along the canal, chatting and planning their next quilting project or fabric design. But on days when the wind swept in from the Peruvian mountains the pair of them would spend the morning, drinking coffee in the little cafe, cosy and warm as they stayed in from the cold. Many a pattern or a design could be traced back to way the cream swirled in the coffee or the pattern of the tiles on the wall in that little cafe, beside the canal in Cuzco. Today, as I walked over the Terrain, I had Joy in my heart from seeing a Flurry and knowing that Good Fortune comes to those who walk. Thanks for the Blog Hop and the opportunity to meet other fans of Kate Spain. I love the colors!! Today, as I walked the Terrain, I had Joy in my heart as a Flurry floated down and I knew Good Fortune comes to those who walk about the world. Thanks for the blog hop and the opportunity to meet others interested in Kate Spain designs. I truly love the colors!! My apologies to Abba for borrowing their lyrics to Honey Honey. On Memorial Day we came In From The Cold to see a snow Flurry outside, But Good Fortune and Joy followed the next day when the Sunnyside of Spring came back across our Terrain. Oh Honey, Honey if I had the Good Fortune to win this layer cake I would sew a quilt that would Serenade me from the back of my sofa to come In From the Cold, Flurry filled Terrain of Central Park during the 12 Days of Christmas to be warmed by it's soft layers. I know under it's warmth I would feel such Joy. One of my favorite movies features Cuzco – The Emporer's New Groove. The Terrain featured was beautiful, and I felt like I had the Good Fortune of really visiting. It is a Fandango of a place full of Flurry! Tonight I have the good fortune of getting on a plane and heading on to new terrain overseas. I am hoping my husband will be romantic and serenade me as if I were sitting in Central Park! I can't wait to head in from the cold of Melbourne and head to the sunnyside of Fiji! It was a rough and rocky terrain but eventually my good fortune came. My honey honey proposed to me with a serenade. From there on in, everything was full of joy and the days were sunnyside! Honey, honey – my heart would be in a Flurry in a beautiful Terrain if I had the Good Fortune to be picked for this lovely gift. I would Serenade quilters with your praises everywhere – even in the middle of Central Park! I expected to go to the "Sunnyside" of southern Florida for the "12 Days of Christmas" with "Verna". Instead of being "In from the cold", I had the "Good Fortune" and "Joy" of the beach! Can't wait for Sunnyside…. LOVE this Blog Hop. It is my first ever! I had the Good Fortune of my Honey Honey Seranading me with the 12 Days of Christmas last year in Central Park! Wow, some beautiful quilts there Jane! 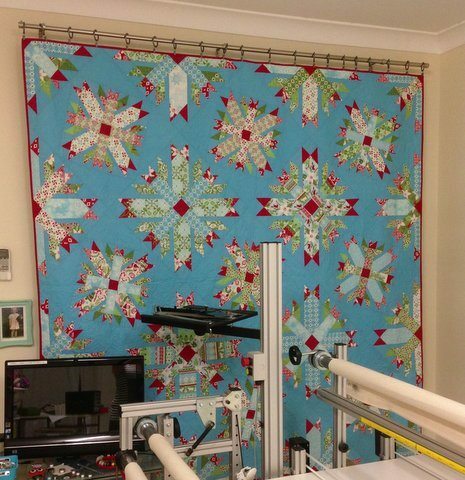 I love the Snowflake quilt, just stunning! When visiting Central Park, Joy had the good fortune to be invited to dance the Fandango with a handsome stranger from Cuzco.